Samsung, in a typical Samsung style today introduced a new mid-range smartphone in the Indian market- the Samsung Galaxy J6 (2018). It is the first Galaxy J series smartphone to sport the trendy Infinity Display tech, but as usual, Samsung has taken a lot of tough decisions with this smartphone. For example, the Galaxy J6 (2018) ships with an HD+ display and lacks the essential Ambient Light Sensor. Samsung has introduced two variants of the Galaxy J6 (2018) in India- a 3GB RAM and 32GB storage option priced at Rs 13,990 and a 4GB RAM with 64GB of storage priced at Rs 15,990. Both the variants will be available for purchase across the retail stores and online stores starting May 22. The 2018 edition of the Galaxy J6 sports a 5.6-inch display with HD+ resolution and 18.5:9 aspect ratio. 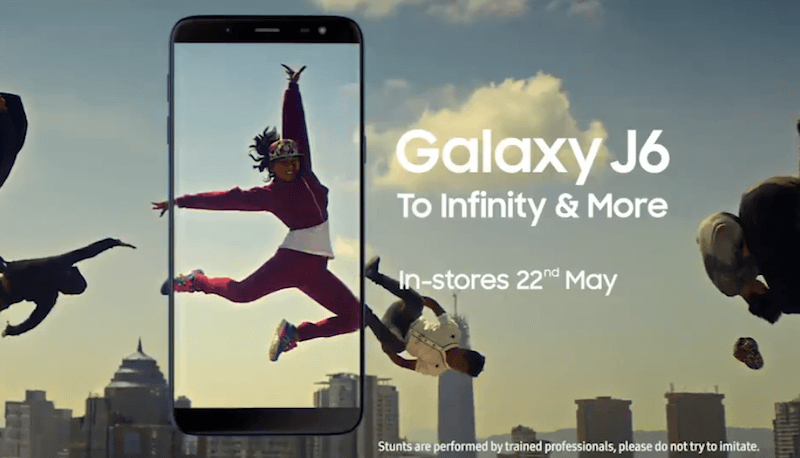 Until now, Samsung has used its Infinity Display tech in Galaxy S, Galaxy Note and Galaxy A lineup and it’s good to see the feature trickling down to Galaxy J mid-range devices. The smartphone is powered by the good-old Exynos 7870 SoC, paired with 3GB or 4GB of RAM and up to 64GB of internal storage. There’s a dedicated microSD card slot for storage expansion up to 128GB. Thanks to the 18.5:9 panel on the front, Samsung has moved the fingerprint scanner to the back, and it’s an oval-shaped scanner as seen on the high-end Galaxy S devices. Connectivity options in the smartphone include 4G LTE, VoLTE, Wi-Fi 802.11 g/b/n, Bluetooth, GPS and a micro USB port is placed on the bottom. The phone is backed by a 3000mAh battery, and it lacks fast charging too. Cameras in the Galaxy J6 (2018) include a 13MP camera at the back with f/1.9 aperture and LED flash. Up front, there’s an 8MP unit which also comes with an LED flash support. The phone offers Proximity and Accelerometer sensors. This smartphone comes laden with Android 8.0 Oreo out of the box with features such as Samsung Mall, Samsung Max, Secure Folder, Fingerprint Scanner gestures and more. The device also offers Dolby Atmos support, something we have seen with Lenovo smartphones in the past. Samsung has also included a new feature called ‘Chat Over Video,’ which is Samsung’s take on PiP mode. For example, you’re watching a video and your WhatsApp pops up, a small Facebook Messenger-like chat head will appear, which by pressing will open the chat interface on the video screen itself. There’s Samsung Pay Mini as well. Thankfully, it also ships with Face Unlock feature. 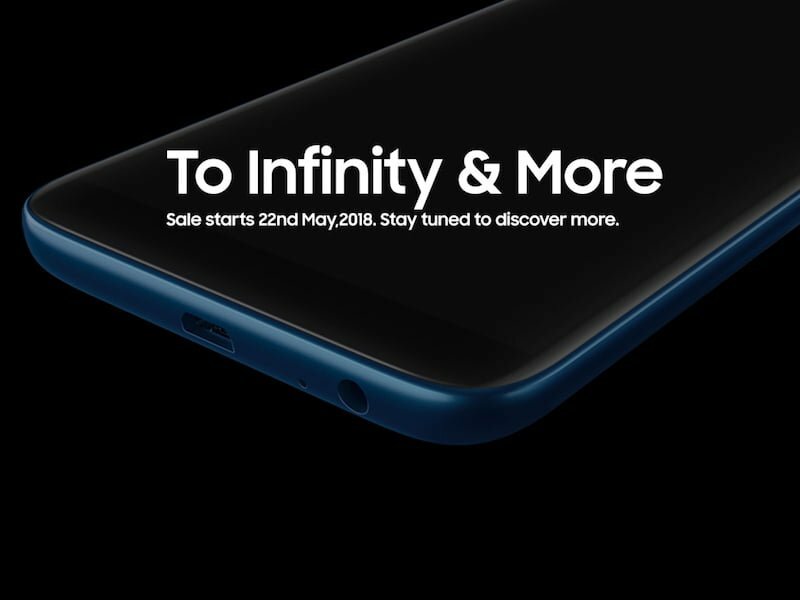 The Samsung Galaxy J6 (2018) will be available across the retail stores starting tomorrow for Rs 13,990 and Rs 15,990. The device will be available at Paytm Mall with Rs 1,500 cashback, that brings down the price of the smartphone to Rs 12,490. There’s another Rs 1,500 cashback offer for users purchasing the device with ICICI Credit or Debit card. I was saying that is there any notification light that blinks when msg etc arrived….